Poor mobile connectivity inside your home? Here’s how it gets solved! The use of lower frequencies helps to improve penetration of radio waves through physical barriers such as walls, which in turn helps to improves mobile connectivity indoors. Mobile phones have become crucial to our need to remain connected at all times. Unfortunately, this does not always happen. When a phone cannot connect to the nearest tower, we either have to deal with a bad connection or worse, no connection at all. Poor connectivity is more common indoors than outdoors. Inside our homes and offices, we’re always surrounded by walls and objects that obstruct signals from reaching our phones. But what’s the way to solve this? 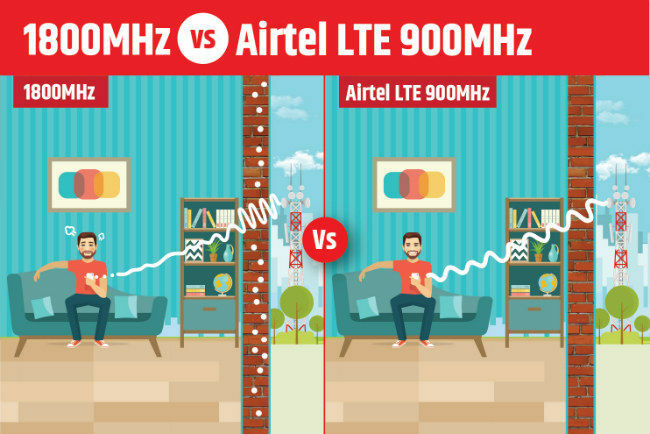 Airtel recently announced that they are deploying a new network technology by the name of L900 which uses the 900MHz band to enhance indoor coverage for its customers. To understand why this could be the answer for all you indoor network woes, let’s take a closer look at how the L900 technology affects mobile connectivity. Mobile phones communicate with towers through waves that have specific frequency bands or spectrums (e.g. 2300 MHz, 1800 MHz, etc.). And as laws of physics would have it, the higher the frequency, the lesser is the ability of waves to travel distances and penetrate walls and objects. Here’s a neat little diagram to explain this. It’s a pretty simple why lower frequency spectrums are superior to higher ones. However, in order to offer lower frequency spectrums, operators need to invest in highly specialised infrastructure in order to offer the same. Using this new network technology, Airtel is aiming a wide deployment on the premium 900MHz bands. With improved indoor connectivity and coverage, mobile users will no longer have to face problems such as ‘dead zones’ where there is no connectivity. Nor will they have to hunt for a specific spot to catch better signals or move to a corner to make calls. 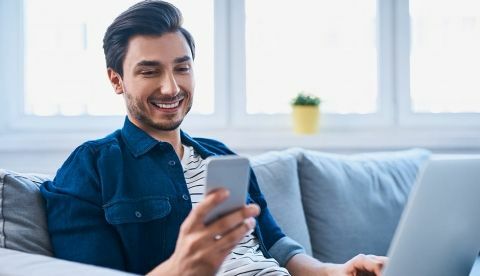 Better indoor connectivity also means that they will enjoy consistent data speeds. Finally we all can enjoy a call seamlessly when we enter our homes and offices. Brand stories are sponsored stories that are a part of an initiative to take the brands messaging to our readers. How does SETI home work?